Luckily the horse is tolerant and willing to share her food. 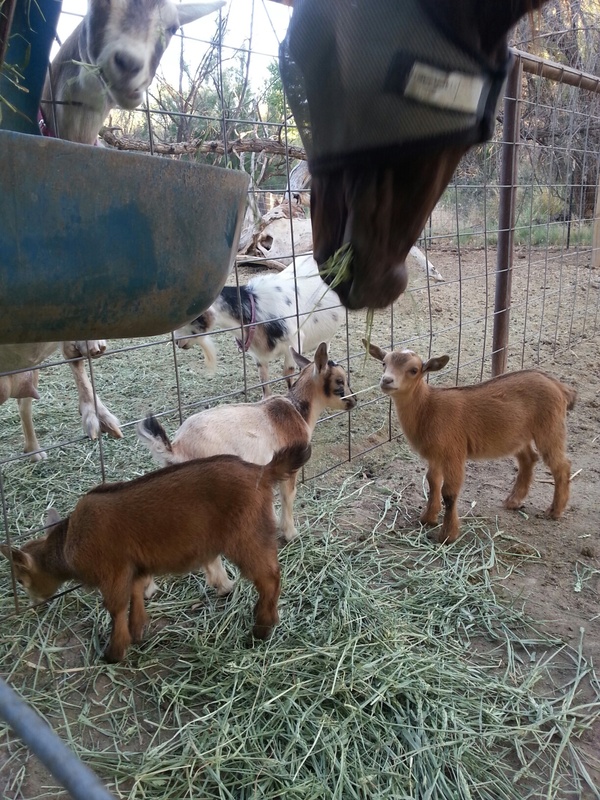 Nougat is helping herself from the feeder while Heath, Praline and Snickers are helping clean up the ground. My plans were to leave the kids in the kid-proof lambing jugs until they were a little larger but the best laid plans and all that. . . 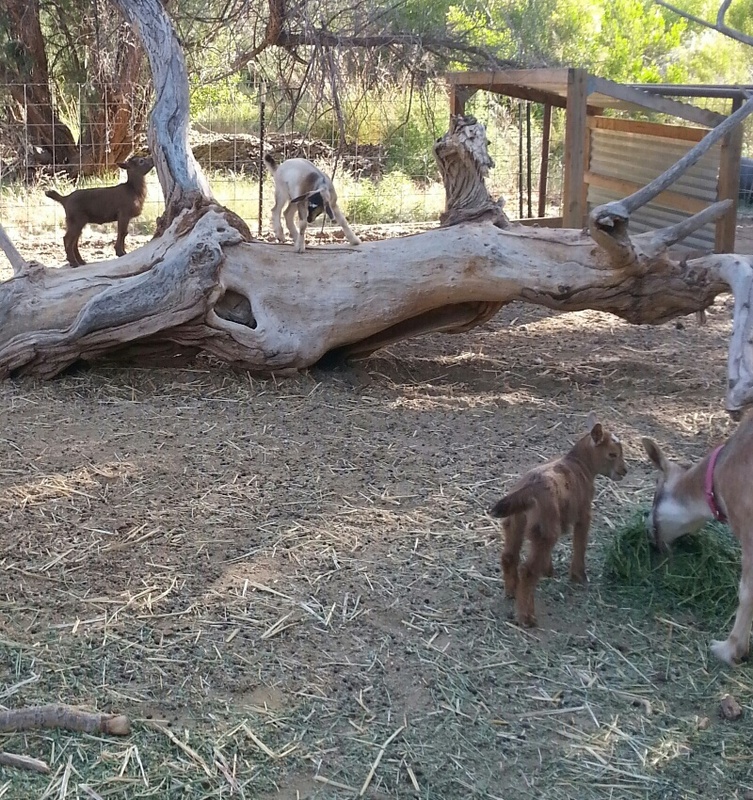 I came out the other morning to find the kids frolicking in the goat pen. They are able to jump onto their mom’s back and evidently discovered they could use her as a launch pad to go over the lambing jug fence. I decided since they were going to get out anyway I’d go ahead and move them into the goat pen where they would have more room – and a tree to climb on. and the kids are now . . . Praline, Snickers and Heath.